A romantic comedy about a talented gallery curator named Sung Duk Mi, who is an idol fangirl underneath her professional veneer. Meanwhile, her boss Ryan becomes a passionate fanboy of her. 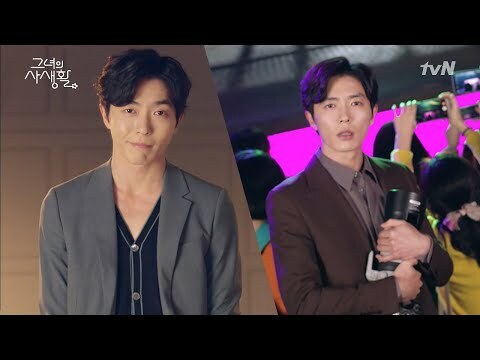 Sung Duk Mi lives a double life as both a gallery curator and a home master for a fansite about Si An, an idol group member. She’s a pro in both aspects of her life, and because of her fangirl dedication, Duk Mi has had to break up with several boyfriends, deciding instead to go all in for her fangirl activities instead of dating. Ryan is a new director at the gallery where Duk Mi works. Once a painter, Ryan was a sensation in the art world from his debut to his retirement, and is now seeing career success as a director. An individualist through and through, Ryan comes to find out about Duk Mi’s double life.